LIFEPAK Smart CapnoLine Plus Long with O2 Delivery by Physio Control. Adult/Intermediate (for patients above 44 lbs). 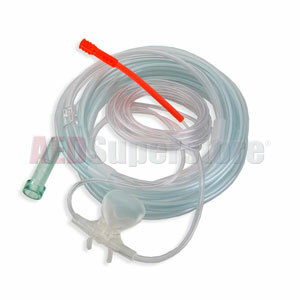 Long-length nasal cannula (165") for O2 delivery and CO2 sampling via mouth or nose. 12 hours equals typical length of use.